Twelve hours on the road, and the mountains, forests, and other public lands in Colorado finally appear on the horizon. As you climb higher and higher, you can’t wait to get out and stretch your legs after an awesome, but cramped, road trip. The views are getting better, the air clearer with every sharp turn on the road. The campground you’re looking for is perfect, with an alpine lake and views of the rugged peaks surrounding it, but when you finally arrive, the place is full. No worries, you are pretty sure there are a few more great spots nearby. As the afternoon progresses, however, it appears that all established campgrounds nearby are full as well. Going back to your map, hoping to find a place to pitch your tent before dark, you see that the land is splotched different colors, all with different labels: BLM Lands, National Forests, State Parks and National Parks. You’ve heard about the possibility of free camping available on some public lands in Colorado, but which ones? What (And Where) Are Public Lands in Colorado? Public lands in Colorado make up 43% of the state’s total area. Each different designation carries with it slightly different stipulations about camping and use, which open up numerous camping possibilities, but the penalty for not knowing the rules can be steep. At best, you have an uncomfortable run in with a Ranger, and at worst, you end up with a hefty fine! 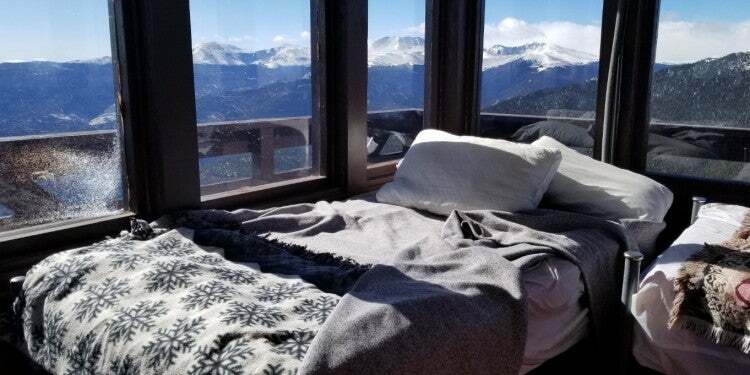 Below is a rundown of the rules and regulations for all the major land-use designations in Colorado, where to camp and what you can do. Here at The Dyrt, we encourage all of our users to practice Leave No Trace principles wherever they camp, regardless of regulations. Use this to use guide when decide where and how to camp on all major types of public land in Colorado. National Forest land is managed under the United States Department of Agriculture. In Colorado, the 11 National Forests total 13 million acres. Local forests are managed by assigned Ranger Districts, and it is always best to contact the local agency for questions about conditions or restrictions. National Forest boundaries are clearly marked, and often accessible along ‘Forest Service Roads’ which are numbered. Abbreviated ‘FS Rd 123,’ or just ‘123’ on most maps, these roads can vary tremendously in condition. Be sure to watch out for signs designating private property holdings within the National Forest as these are quite common. Forest product permits (firewood, Christmas trees, etc), can be purchased at the local Ranger District station. Hunting and fishing, as licensed through the Colorado Dept. of Parks and Wildlife. White River National Forest is the largest national forest in Colorado at 2.3 million acres, and is adjacent to the towns of Glenwood Springs, Rifle and Aspen. 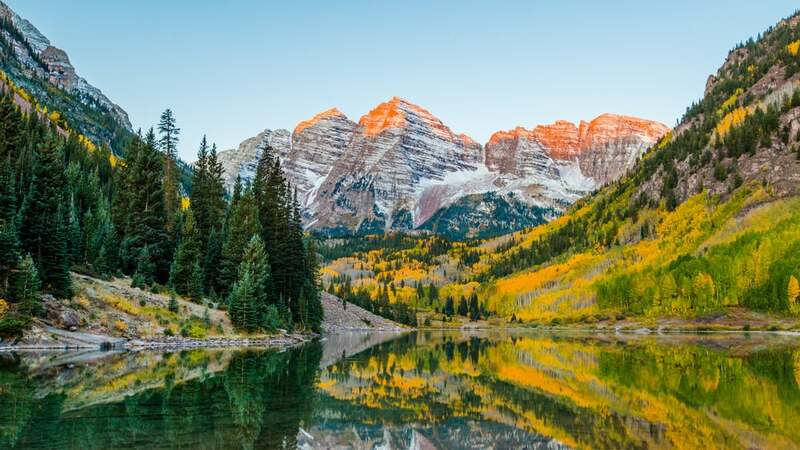 This area includes landmarks like Hanging Lake and Maroon Bells. 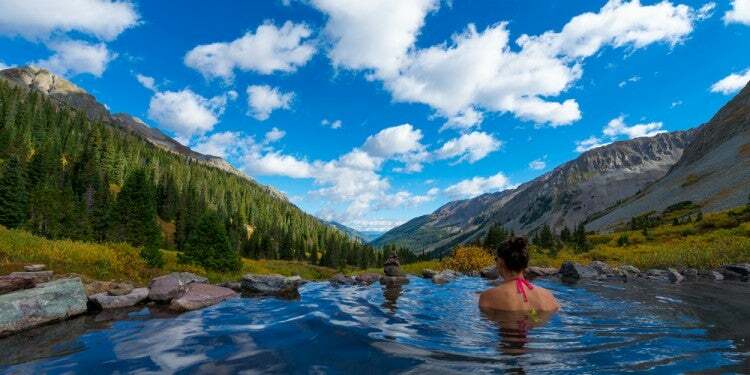 The San Juan National Forest, at 1.8 million acres near the towns of Durango and Telluride, is another incredibly popular recreation area. 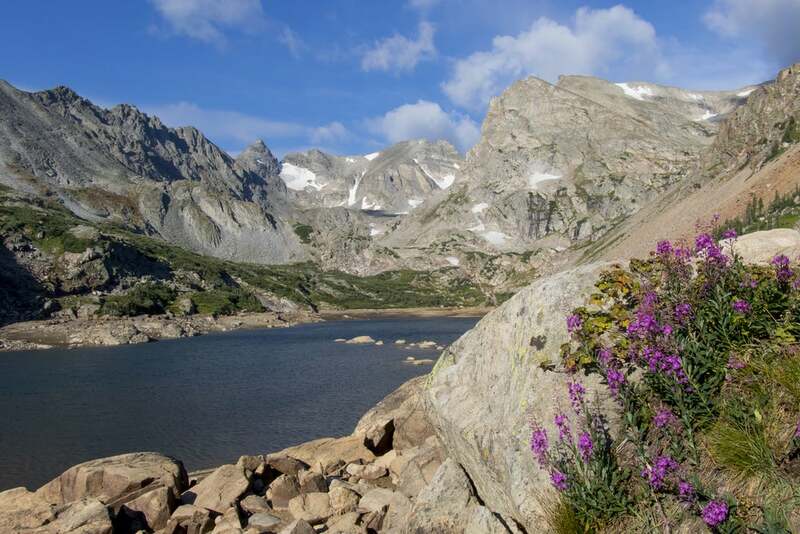 Nearer to Denver and the northern Front Range, Arapaho and Roosevelt National Forest is 1.5 million acres and is known for Cache la Poudre Scenic River and the Mount Evans Recreation Area. 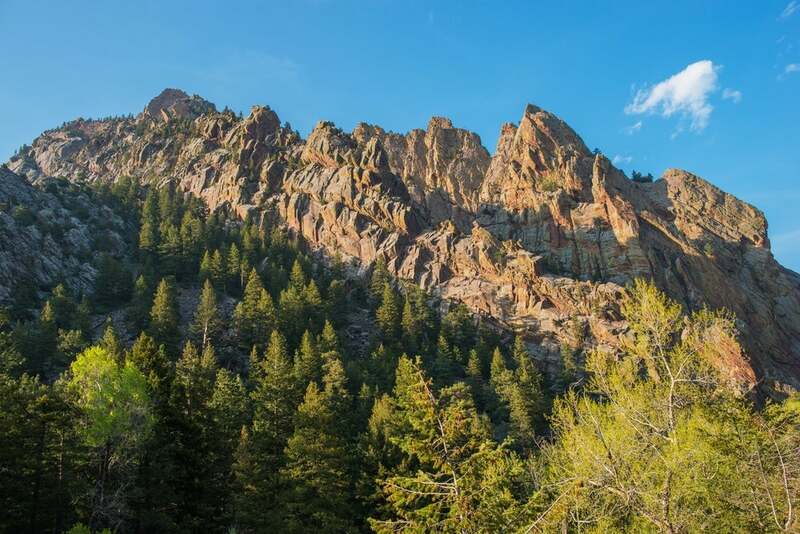 Within the boundaries of many national forests, smaller sections of land are designated as “wilderness.” There are 42 national wilderness areas in Colorado. The use restrictions within these areas of public land are meant to preserve a wild feel to the land with an emphasis on wildlife habitat. Human activity is rigorously limited. There is rarely any cell service, and humans must be totally self-sufficient. Bureau of Land Management (BLM) is another branch of the Department of the Interior. In Colorado, BLM accounts for 4.2 million acres, mostly in the lower-elevation pinyon-juniper-oak brush forests. Many recreation areas and campgrounds can be found on BLM land, however some can choose to incur entrance and camping fees on their sites, so if you’re looking for free camping on BLM lands, you’ll be looking at distant, DIY camping. BLM land is the least restrictive of all public lands in Colorado. Mining and drilling leases can limit camping nearby, but beyond that, you can legally camp on BLM land as designated. It can often act as a great last-minute spot car or RV camping. 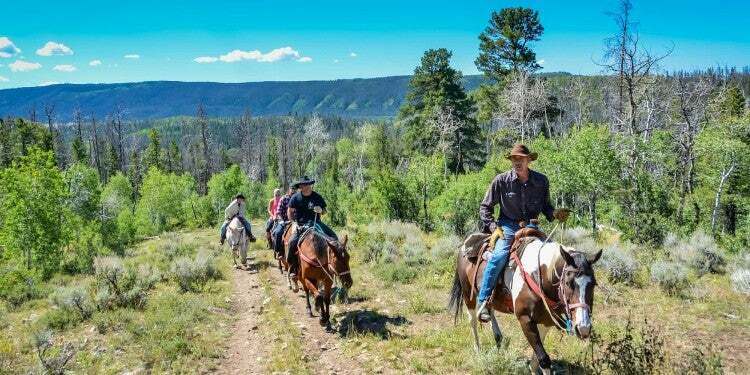 Oh Be Joyful Recreation Area rests on BLM wilderness land in central Colorado near the Gunnison National Forest. Zapata Falls Campground is a BLM camping alternative to the nearby Great Sand Dunes National Park in south Colorado. 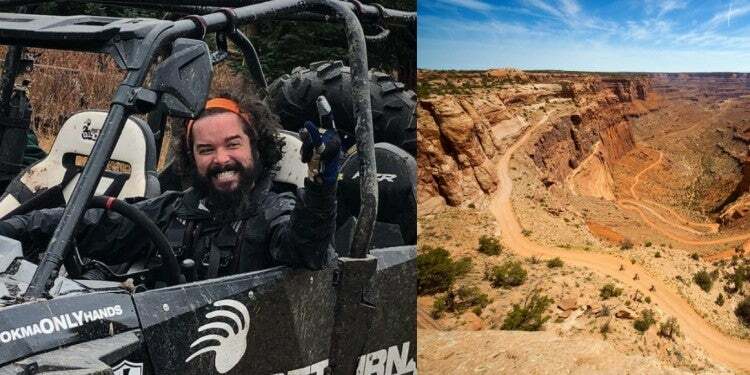 Phantom Canyon lies just a few miles south of Colorado Springs, and is well suited for day-trippers. National parks are administered at the federal level through the Department of the Interior. With only four national parks in Colorado, they take up the smallest amount of public land, but attract the highest percentage of visitors. The philosophy of the national park system is to preserve significant natural or historical landmarks while still allowing visitors to appreciate them. Because of the high volume of visitors at national parks—Rocky Mountain National Park sees over 3 million visitors annually—park rangers strictly enforce the rules and regulations. This also means that camping here, unlike most Colorado public lands, won’t typically be free. The four national parks in Colorado are Rocky Mountain National Park, Great Sand Dunes National Park, Black Canyon of the Gunnison National Park and Mesa Verde National Park. Rocky Mountain National Park is the classic high alpine with pristine lakes, expansive forests, elk herds and towering peaks. Great Sand Dunes National Park is a bizarre juxtaposition of the highest sand dunes in the continental US against a backdrop of rugged, 13,000 ft peaks. 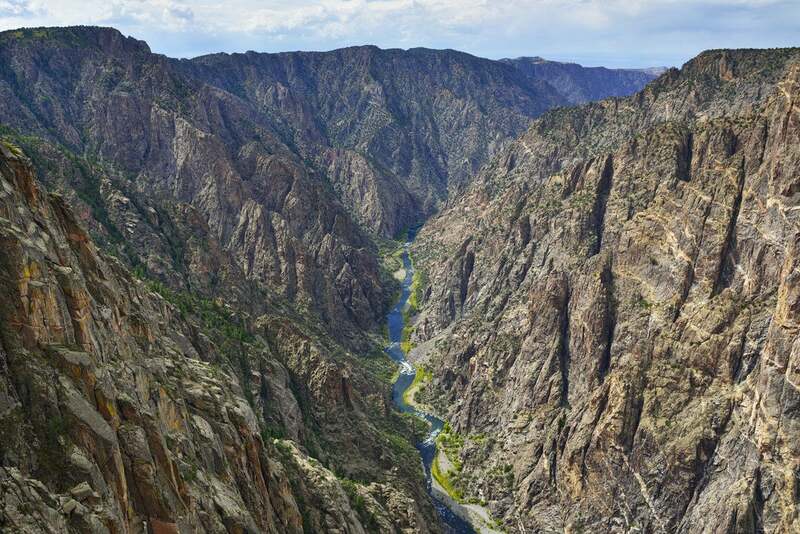 Black Canyon National Park winds around the rim of deep, narrow canyon of stunning metamorphic rock above the river. Mesa Verde National Park offers an unparalleled look into the lifestyle and history of the ancient people who first thrived in the arid lands of the southwest. A national monument is a land designation assigned by presidential discretion under the Antiquities Act. It is meant to protect and preserve unique anthropological or geological features. There are eight different National Monuments in Colorado. Preservation is the priority on these public lands, although recreation and camping are allowed within these areas. Colorado National Monument preserves the stunning towers and arches of red sandstone in western Colorado near Grand Junction. 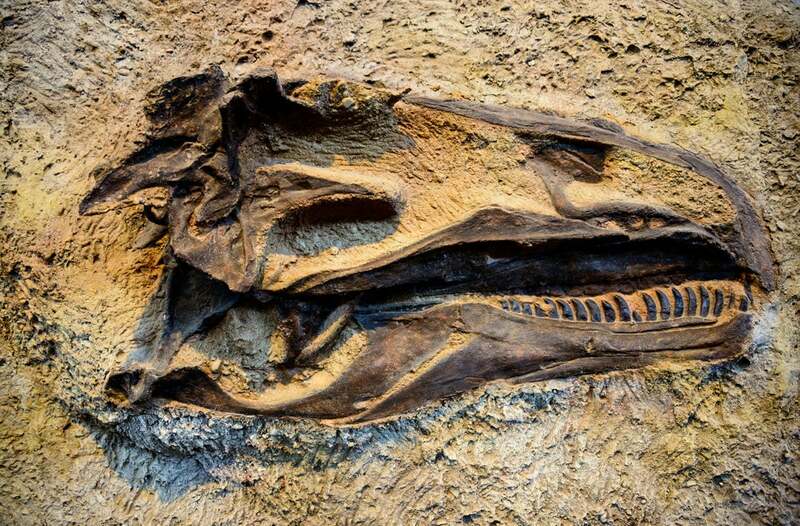 Dinosaur National Monument, in the northwestern corner of the state, preserves the many in-tact remains of prehistoric animals. Canyon of the Ancients National Monument preserves incredible Anasazi ruins near the town of Cortez. The Colorado Parks and Wildlife office regulates all State Parks in Colorado. There are 41 state parks varying in size from Rifle Falls State Park at 48 acres to State Forest State Park at 70,838 acres. State parks are the most popular type of Colorado public land, with over 14 million vehicle visits last year alone! Much like the differences between Colorado public lands, camping restrictions vary tremendously from park to park, and not all state parks even have camping options. When they are present, state park campgrounds tend to be quite popular, so make reservations in advance. A few of the larger parks have country options and clearly marked dispersed camping areas. Day-use areas do not allow overnight visitors, so be sure to look for signage. The rule of thumb for state parks is don’t assume you can camp anywhere without a designated campground. State Parks often do not allow firewood gathering, so come prepared. Again, each state park provides access to some unique feature of the land. Many include a body of water, lakes, rivers or reservoir with boating access. 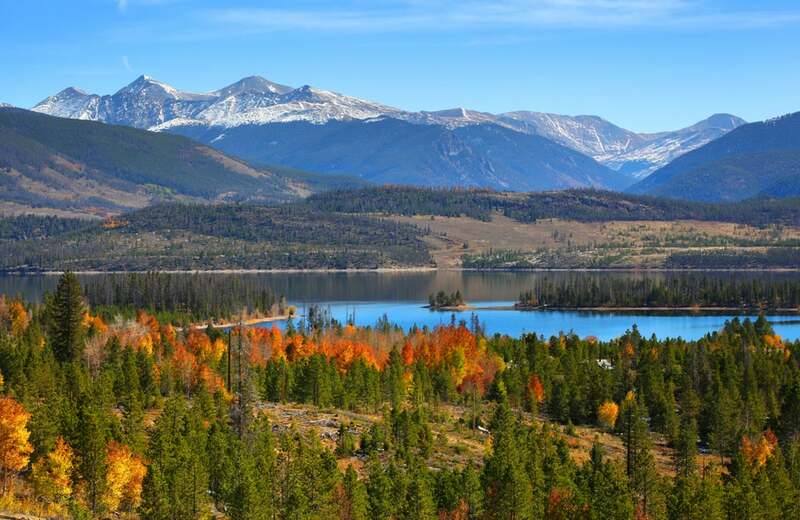 Hiking, biking, wildlife viewing and picnicking are a big part of state parks in Colorado. Hunting and fishing are available depending on the park, and are licensed by the Colorado Dept. of Parks and Wildlife. Boating on the rivers and lakes tied to public lands in Colorado is growing in popularity every year, but did you know you can camp in the areas surrounding these bodies of water? All waterways and lakes are regulated by the Colorado public lands designations under which they fall, meaning many of the same rules apply, depending on where the body of water rests. Competitive permit systems often limit access to the more popular stretches of river in order to preserve the essential riparian ecology. These unique permit systems allow camping within certain areas, often only at established sites along the bank. Users must rigorously decontaminate every boat which is transported to a new body of water to prevent the spread of invasive aquatic species. Fishing in many of these bodies of water is regulated by the Colorado Dept. 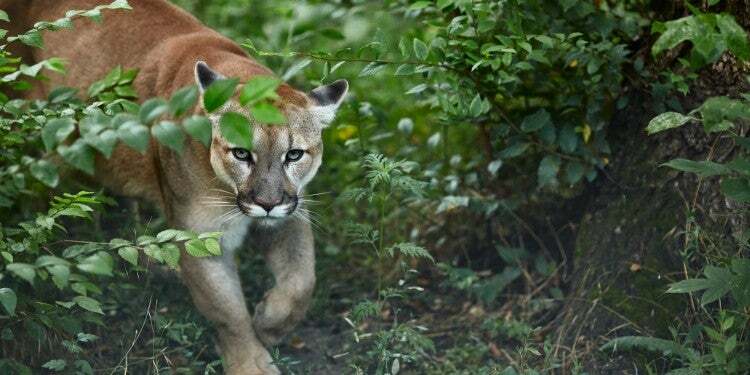 of Parks and Wildlife.